This book presents an alternate history of colonial India in the 18th and the 19th centuries. It traces the transitions and transformations during this period through art, literature, music, theatre, satire, textile, regime changes, personal histories, and migration. The essays in the volume examine historical events and movements which questioned the traditional parameters of identity, and forged a new direction for the people and the nation. Viewing the age though diverse disciplinary angles, the book also reflects on the various reimaginings of India at the time. 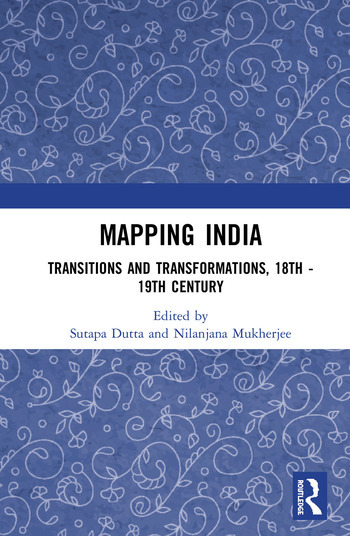 This volume will be of interest to academics and researchers of modern Indian history, cultural studies, and literature. It will also appeal to scholars interested in the anthropological, sociological, and psychological contexts of imperialism. List of Figures. Acknowledgements. Contributors. Introduction Sutapa Dutta And Nilanjana Mukherjee Part I Space, Place and Displacement 1. Imperial Guidebooks for Charting India Sutapa Dutta 2. Scottish Resonances in James Baillie Fraser's Travel Accounts Nilanjana Mukherjee 3. The Correct View: Ethnographic Representation of Darjeeling Hill Tribes, from Drawings to Photography Agastaya Thapa 4. Patterns of Migration and Formation of Indian Diaspora in Colonial India Amba Pande Part II Regional Formations and Movements 5. The Struggle over a Mughal Office: The English Response to Maratha expansionism along Coastal Western India in 1733 Vijayant K. Singh 6. Pre-Modern Cosmopolitanism: A Challenge to Ladakh’s ‘Tibetanness’ Ria Gupta 7. The ‘Cow Protection’ Discourse in India: The Making of a ‘Movement’ Ridhima Sharma Part III Generic Alterities of Representation 8. Aristocratic Households during the transition to Early Modernity: Representation of Domesticity in an Indo-Muslim 18th century Biographical Compendium Shivangini Tandon 9. Delhi through Ghalib’s eyes: Politico-cultural transitions in the aftermath of the revolt of 1857 Mohit Abrol 10. Mapping Transformations in the Indian Public Sphere: An analysis of the Punch and Oudh Punch Cartoons Neha Khurana Part IV Transigent Cultures 11. Music Before the ‘Moderns’: A Study of the Changing Economy of Pleasure Vibhuti Sharma 12. Urban Theatre in North India during the Nineteenth Century: A Study Madhu Trivedi 13. Indian Trade Textiles: Transition in Patronage, Transformation in Style Gauri Parimoo Krishna. Index. Sutapa Dutta is in the Department of English at Gargi College, University of Delhi. Nilanjana Mukherjee teaches English Literature in Shaheed Bhagat Singh College, University of Delhi.